Gordon Ramsay is feeling the heat after he responded to a food critic on social media who accused his latest restaurant of cultural appropriation and called it nothing short of "an actual kitchen nightmare." The "Hell's Kitchen" star blasted Eater food critic Angela Hui on Instagram for her "offensive response" to his soon-to-be-opened London restaurant, Lucky Cat, which has been described as a "vibrant Asian eating house" based on "experiences and inspiration from trips to the Far East." "Critics and reviewers have an important job to do, and it’s important that they are independent and have freedom of speech," Ramsay wrote. "However, the slew of derogatory and offensive social media posts that appeared on Angela Hui’s social channels, were not professional." In an Eater review published last Thursday, Hui said she was the only person who appeared to be of Asian descent at the press preview event. "There appeared to be some confusion over the particular source of inspiration for Lucky Cat," Hui wrote. She also added images from her Instagram story, where she pondered whether the restaurant is supposed to be Chinese or Japanese. "It's all Asian, who cares," she wrote sarcastically. The restaurant is run by chef Ben Orpwood, who is white. During the press event, Orpwood made references to various foods and flavors he learned about from his wife, who is Asian. In his response, Ramsay also claimed that Hui referred to Orpwood's spouse as a "token Asian wife." Ramsay called the alleged comment "personal and hugely disrespectful." The review has ignited another conversation about cultural appropriation in the restaurant world, on the heels of the backlash against a "clean" American-Chinese restaurant in New York City (with a very similar name — Lucky Lee's), but has also led some people to fear for Hui's safety after the chef called her out by name. 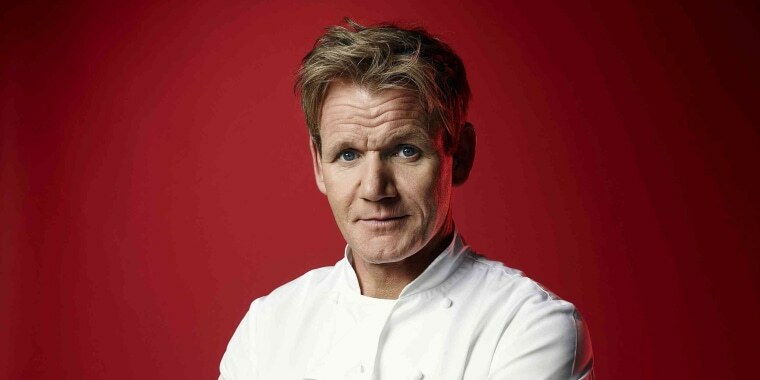 Ramsay has more than 7 million followers on Twitter. Hui has about 1,550 and has since made her social media accounts private. She could not be immediately reached for comment. "'Offensive' would be a white british chef making a hash of several cultures he’s appropriating from and then bullying someone belonging to one of those cultures who took the trouble to set him right," wrote one Twitter user. Another asked Ramsay to delete his post. What she said about his wife is not defensible. I’ve been referred to similarly (I’m also Burmese married to a white man) and understand your shock. Ask for an apology, but please delete this. You have 7M followers - some are abusing Ms Hui. Don’t endanger her safety. Thank you. A representative for Ramsay declined any additional comment. Lucky Cat is scheduled to open in London this summer.